Woods Peacock Engineering Consultants is granted non-exclusive usage rights to incorporate the image in project sheets, proposals, in-house displays, portfolios, PowerPoint presentations, internal public relations releases, trade show displays, Internet home site, and design award submissions (including one-time publication on interior pages only for the sole purpose of identifying and recognizing award-winning projects; other uses by award organizers are explicitly prohibited without prior release from the Photographer). Editorial and Advertising use are not included and must be arranged with the Photographer separately prior to reproduction. The copyright of the image is exclusive property of the Photographer. Usage beyond that defined above requires additional written license from the Photographer. Credit line in the form Copyright "(c) 2009 Boris Feldblyum" in type to be legible must accompany each and every image use. 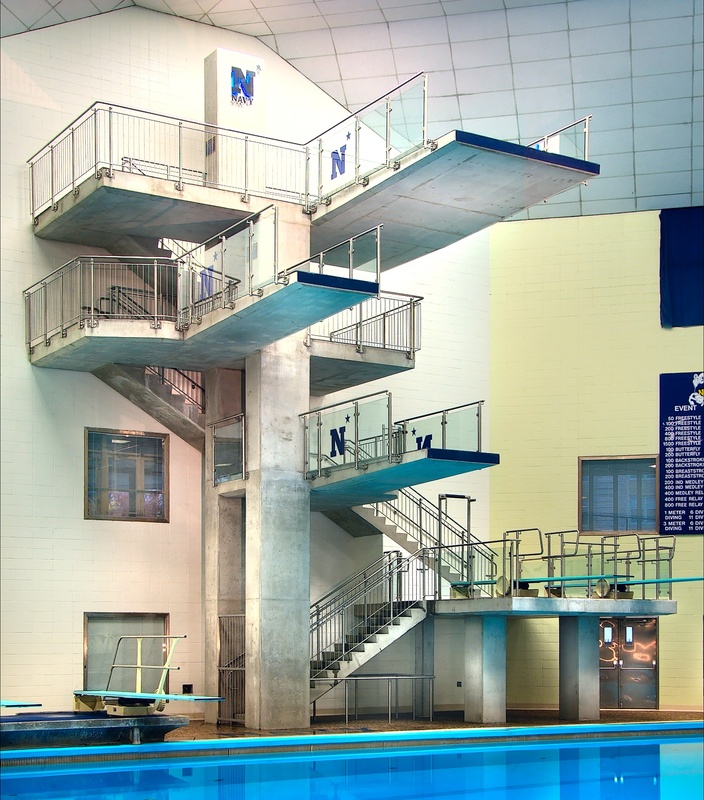 The architecturally exposed cast-in-place concrete dive tower and 3-meter springboard platform were designed to enhance the facility’s potential to attract both international and intercollegiate dive competitions. 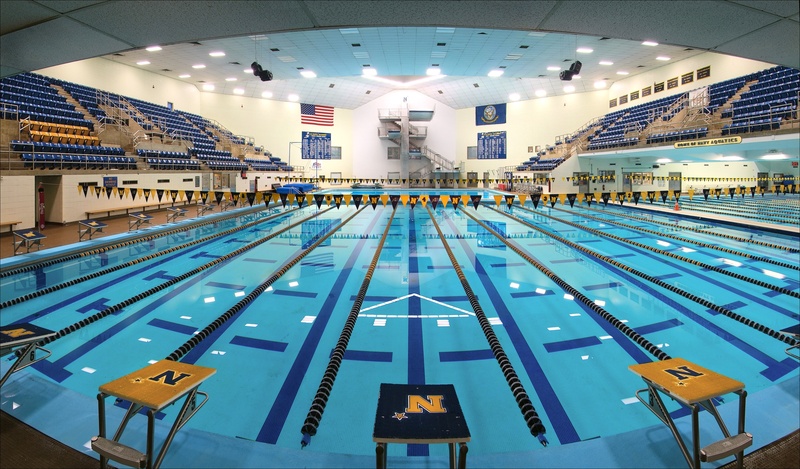 Therefore, the new design incorporated strict dimensional requirements of both Fédération Internationale de Natation (FINA) and the NCAA. 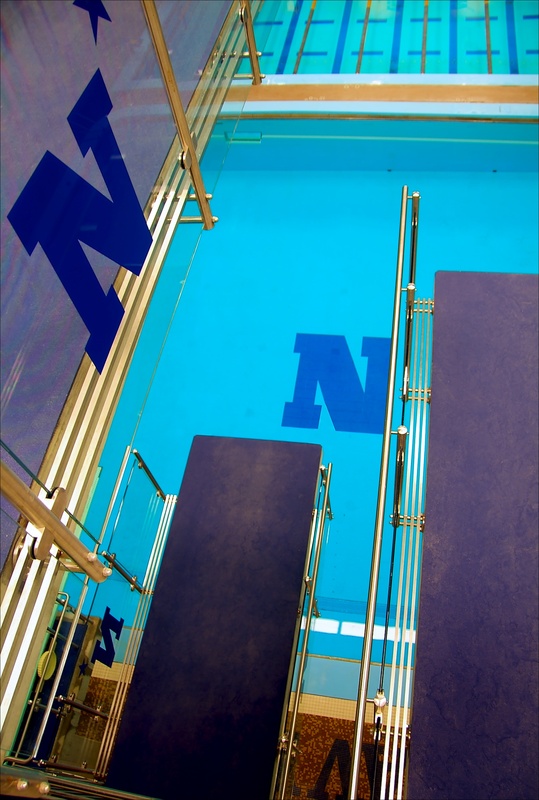 The tower design integrated the 3 meter springboard platform with the 5, 7.5, and 10 meter platforms incorporating multidirectional cantilevered slabs. 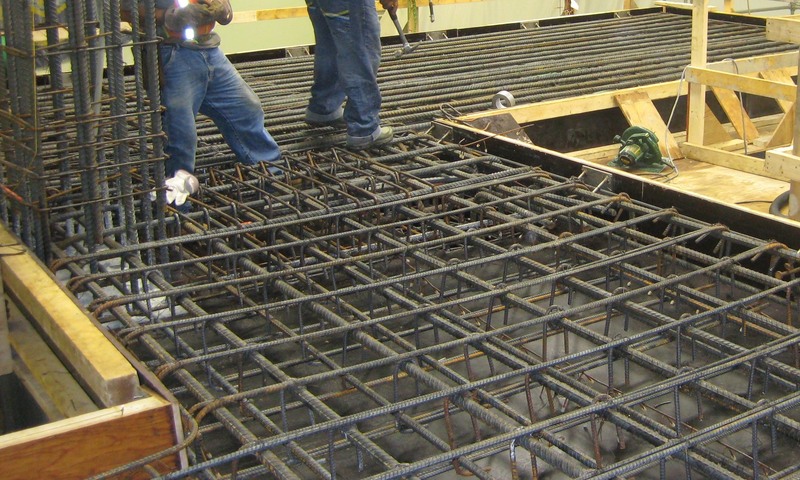 Tapered platforms were used to reduce the dead load weight, limit the deflection of the cantilevered end, and conform to the elevation envelope prescribed by the sport’s governing bodies. 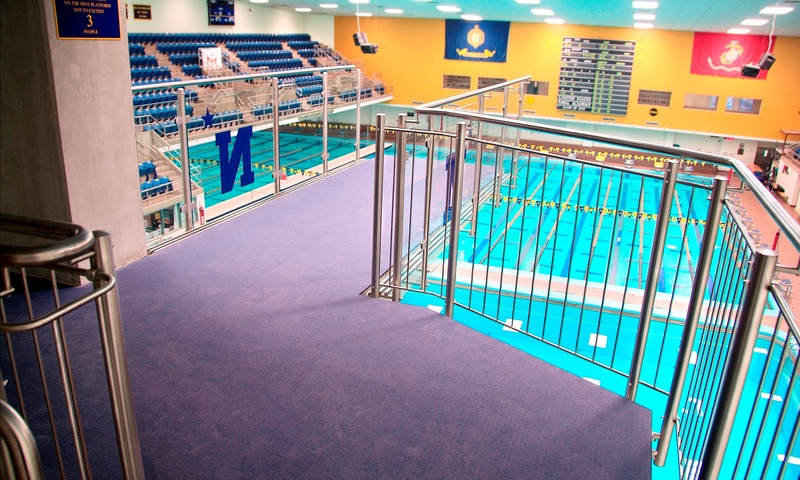 As the prime for the design team, Woods Peacock collaborated closely with the Academy and the Dive Team staff to incorporate their ideas into the final design while remaining flexible and responsive to unforeseen field conditions. 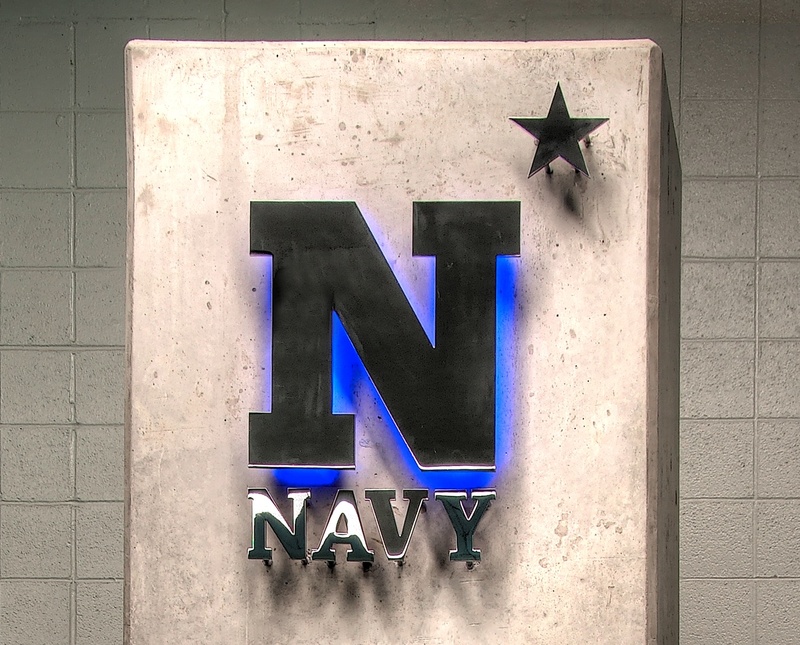 The construction schedule was extremely tight, with the project bid, award, and construction occurring between graduation in May and the start of the fall semester.